Official Size (29.5"), 3.0 lbs. Inter Size (28.5"), 2.5 lbs. 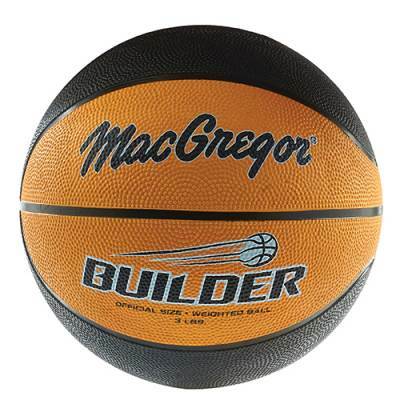 Sometimes you need to work on the fundamentals, and this MacGregor® Heavy Basketball helps the team do just that. More than twice as heavy as a regular basketball, the ball builds hand, wrist and forearm strength to help players develop their shooting and passing skills. The ball withstands the repeated drills and dribbling of basketball practice with its heavy-duty rubber construction. Whether it's on hardwood or asphalt, players will get a tough workout and start to see the difference in their game.